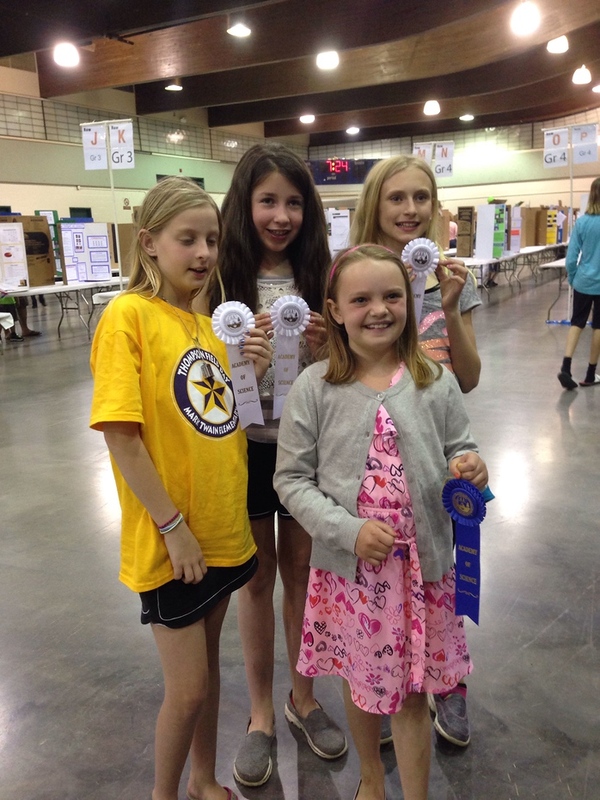 Amelia’s science fair experiment, “How Intelligent Are Chickens”, won a blue ribbon at the St. Louis Science Fair! It was quite a night of celebrations as Dave and I took her to the awards ceremony and then out to dinner at Pastaria and dessert at Ted Drewe’s Frozen Custard to celebrate her 9th birthday. So much fun for all of us!